Welcome to the 2nd Annual Green Your Mom Giveaway Hop, hosted by Happy Mothering and the Green Moms Network! We are excited to bring you great prizes valued at $25+ to help you "Green Your Mom" (or yourself) this Mother's Day!. After entering my giveaway, be sure to visit the other blogs listed under the Rafflecopter form for your chance to win more great green mom giveaways. I am in love with Woolzies Dryer Balls! 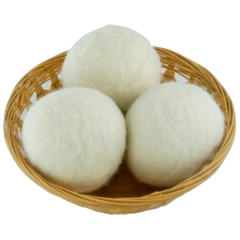 Throw in 6 wool dryer balls into my dryer, set the dryer to go and off they dry. No chemicals on my clothing! Reduced drying time. No static! Slowly we are making the change to environmentally friendly, healthier lifestyles in our family. A very simple first change is by getting rid of dryer sheets! Dryer sheets are laden with chemicals that your family does not need on their clothing, nor do you need to be throwing the actual waste at the end into the landfill. I have in days past had my poor cats try to eat those dryer sheets, so they are also very detrimental to animals! With a family of 8 I do ALOT of laundry. I prefer to hang my clothes outside to dry, but there are seasons where I do have to use my dryer. I love my dryer balls!! I will never ever go back to using dryer sheets again! I reviewed for Woolzies about a year ago at this time. I wanted to share them again with my readers and they graciously are offering a giveaway in the Green Your Mom event. This is a product I have time and time again been completely satisfied with. You will see the dryer balls on the right are the ones that are a year old. The ones on the left are my new ones. Even after a year of constant use, the dryer balls are still doing a fantastic job!! Try them, you will not be disappointed!! I also am excited to introduce you to Willow Store! Catherine, founder of Willow Store believes strongly in using ethically made products from the USA, organic as often as she can, to make great, nature products for you and your home. Willow store sells cloth diapers and training pants for your young sprout. 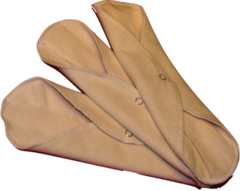 They also carry reusable feminine care products, a perfect way to help green your health. Looking to green your home, Everyday Willow offers organic napkins, linens, and reusable bags. 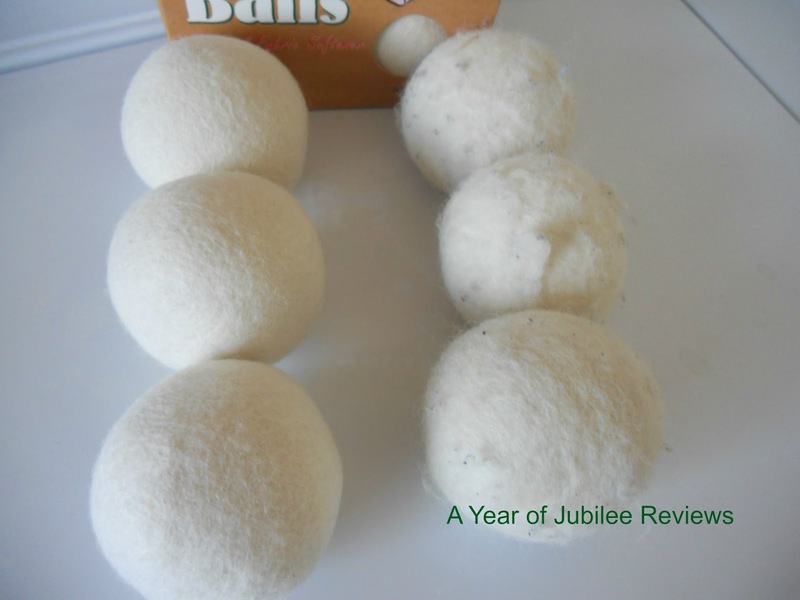 Dryer balls and soap nuts to green your laundry room. In addition they also offer items for your baby and young toddler. So many great GREEN products for you and your family. Enter to win these and a 6 pack of Woolzies Dryer Balls for yourself or your Mom! This contest will run through May 8, 2013 at 9:00 pm PST (May 9, 2013 at 12:00 am EST). The winner will be chosen the following day and announced on Jubilee Reviews. No purchase necessary. US entries only. Must be 18 years or older to win.The sponsors provided me with free samples of these products to review, and I was under no obligation to review them if I so chose. Nor was I under any obligation to write a positive review or sponsor a product giveaway in return for the free product. This promotion is in no way sponsored, endorsed or administered by, or associated with, Facebook. You understand that you are providing your information to Jubilee Reviews and not to Facebook. Please note that Jubilee Reviews, Happy Mothering, the Green Moms Network and the Green Your Mom event bloggers are not responsible for sponsors that do not fulfill their prizes. We have represented each sponsor with the expectation they will fulfill their prize and in a timely manner. We will contact the sponsor regarding your prize(s). The sponsors, in most cases, are shipping their items to you directly. I will make every effort to assist you obtaining your prize. If there is an issue with a sponsor, please notify the blog you won a prize from within 4-6 weeks for assistance, after that we may be unable to assist you. We usually go and eat dinner with the whole family. Hopefully I'll sleep nice and late! my daughter and i will go out for lunch then check out some of the shops on main street. I'll be spending it with my mom, gramma and hopefully my boyfriend's mom will join us. We're going out to lunch and playing games. Well hopefully with my kids for part of the day. Maybe I'll go to my Moms. Pizza with my daughter and husband. They are taking me out earlier in the week. We don't have plans because we are super broke. I think we could do a picnic in the park though. Haven't made any plans yet. I know I will be giving my mom a card and talking to her on the phone. No plans yet... hanging out with my toddler & baby. I'll be spending part of Mothers' Day on Skype as I am half a world away from my Mom! We are actually all going to Great Wolf Lodge! Grandmas too! It was the only weekend that worked for Grandpa, but I know it will be fun! Still finalizing plans, but I know it'll be fun! spending it with the family & especially my 4 year old grandson! unfortunately I live far away from my mother so I will be sending her a card and gift. My hubby is going out of time so I will probably be spending it with my little man and maybe make a visit to my moms. Hanging out with my kiddos. Playing games and watching movies. I'm hoping that all of my kids can come home and spend the day with me! Going to a polo match. My mom passed a couple of years ago but will probably go to MIL's and have dinner with her. We have church in the morning and then we'll probably go out to eat. Possibly a BBQ at my in-laws in the evening. Homemade dinner and maybe a bonfire later that night with lots of family. A nice family picnic with lots of extended family. My husband will be making lunch for me and for his parents. As of right now I don't have any plans. I might have to work though. I'll be going to church and out to lunch with my daughters and grandchildren, but this will be a tough day, as it's my first without my mom. So, I'm not sure "celebrating" is the right term for me. We will probably just have a barbeque at home.